As you may or may not have seen, Jason and I recently went to the Chef's Table. Minutes after sitting down at this lovely restaurant, they brought each of us a single stuffed mushroom. Cute? Yes. Delicious? Yes. We have been thinking about that single mushroom for days. And I DO NOT LIKE mushrooms. But that one was delish. 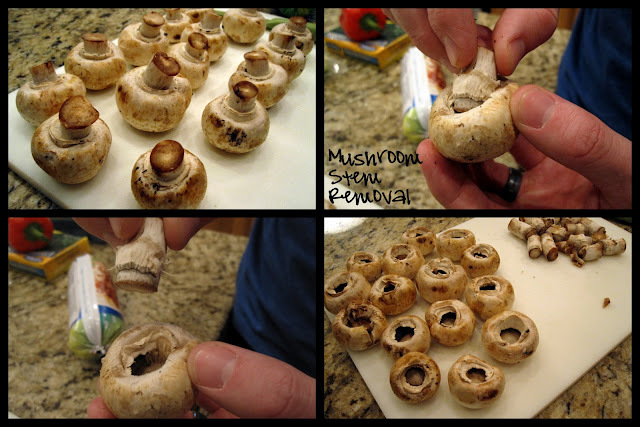 So since Jason asked that we make a batch this weekend I ignored my dislike of mushrooms to please my handsome hubby. This is a Rachael Ray recipe from the Food Network. It is good. It is not Chef's Table good, but it is good. It may not convert you [or me] 100% to mushrooms, but it is definitely a good start. 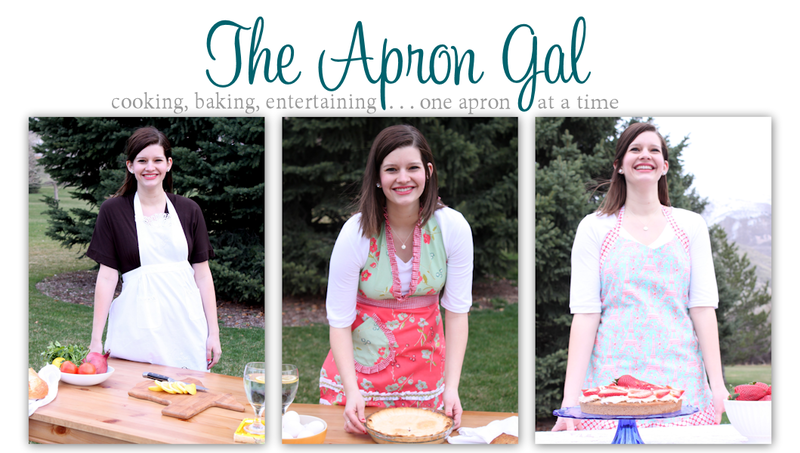 It is a little bit time intensive so save this for when you particularly want to cook. 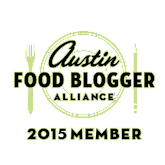 It is a perfect little party appetizer or special date night treat. *note the recipe at the bottom is for 24 large mushrooms. We had about 25 small mushrooms so we halved the recipe and still had stuffing leftover. Plan accordingly! First, wash your mushrooms, try to dry them off as best you can so there isn't moisture remaining. Then remove the stems. Also, preheat your oven to 500 degrees. To remove the stems, kind of wiggle them around and then pull. Jason is demonstrating here. Do not discard the stems! We will be using those in a minute. Heat some olive oil in a skillet over medium high heat. Add the mushroom caps, hole side up and saute with salt and pepper for 5-7 minutes. Then flip the caps to let the juices drain away from the caps. They should get a nice golden brown and start to become tender on the edges. After just a minute upside down, remove from the skillet and place on a nonstick baking sheet. Meanwhile, roughly chop up your mushroom stems, onion, garlic, red pepper and and celery. You will be putting it all into the food processor to be finely chopped. I also toasted my bread at this point. The recipe calls for chopping the mushroom stems and garlic separate from the other vegetables but I think you could do it all together. These pieces should have been chopped even smaller more like big bread crumbs. I removed the sausage and sauteed the veggies on their own at this point for 3-5 minutes. Then I added the chopped bread and, spinach, and cheese to mixture. See those chunks of bread are way out of proportion! ha. This is what your final stuffing mixture should look like. 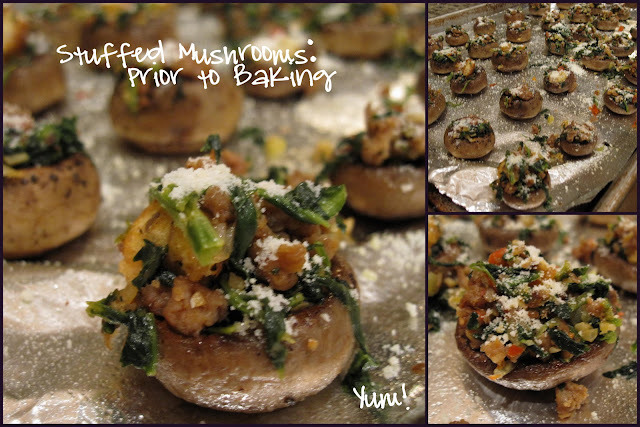 Then using a small spoon smush the stuffing into the mushroom tops. Don't be afraid to make them tower high since that means less mushroom taste & more yummy stuff taste! Ok, this is where Jason and I thought that perhaps the stuffing needed a little extra something to hold it together more and give a dab more flavor. We decided some cream cheese or mozzarella cheese-something to make it melty and gooey would have been a nice touch. You decide if you want to add a little something to it. 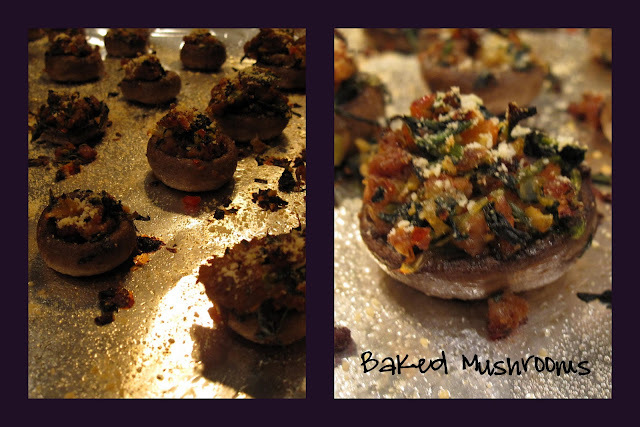 Bake for 6 to 10 minutes to crisp edges of stuffing and set stuffing in mushrooms. Heat a large skillet over medium high heat. Add oil and mushroom caps and season caps with salt and pepper. Saute caps 5 to 7 minutes, until they are lightly browned and tender on edges. Turn caps up and let juices drain away from caps. Transfer caps to a small nonstick baking sheet. Wipe out skillet and return to heat. Add a touch of oil and sausage to the hot skillet. Brown and crumble sausage for 3 minutes. In a food processor pulse and chop the garlic, add mushroom stems and pulse to chop the mushroom stems. Add celery, onion and red bell pepper to the mushrooms and pulse to chop. Remove mixture from the processor and saute veggies and mushrooms over medium high heat another 3 to 5 minutes. Add dry, defrosted spinach and stir into stuffing. Add chopped bread and cheese to the pan and toss stuffing until bread is moist and stuffing is combined, 2 or 3 minutes. Fill caps with stuffing using a small scoop or large spoon. 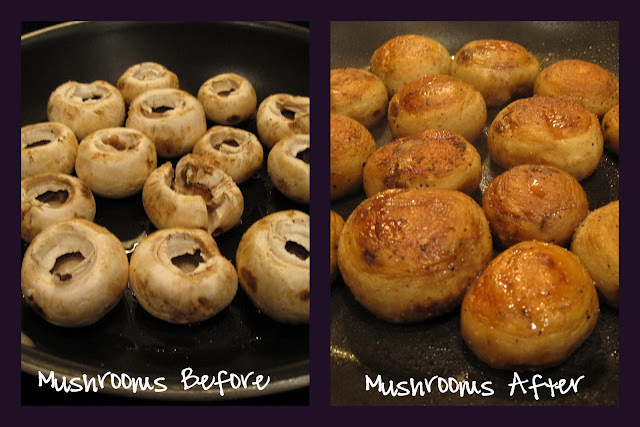 Place caps in hot oven and reduce heat to 450 degrees F. Bake 6 to 8 minutes to crisp edges of stuffing and set stuffing in mushrooms.